Acquiring new customers is one of the trickiest and costliest challenges facing businesses, but we can help. With a high perceived value, our incentives can set your business apart from competitors at a relatively low cost. Whether you are trying to get the attention of prospects or nurture your leads, we have effective business solutions. Our culture is saturated with branding. Look around you. Chances are you can spot more than a few logos. It's essential that your business finds ways to not only stand out but to also interact with prospects. While traditional advertising can create a positive first impression, you want a lasting impression. 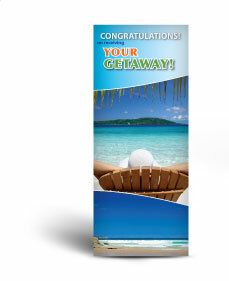 Our travel incentives are naturally memorable, for example, and make desirable prizes for giveaways. While some clients design their own promotions and tie in our incentives, many have measured a significant response rate using our Traffic Ticket system. 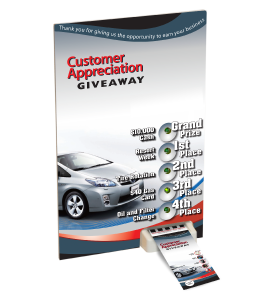 Designed to increase foot traffic, Traffic Tickets are distributed through direct mail or at events and then scanned using a special Reader Board that you set up in a strategic location. Since everyone is a winner, this is a positive form of engagement that gives prospects a reason to remember you. Our products help you start positive conversations with your prospects, increasing the likelihood that they will move forward through the customer lifecycle. Capturing contact information from leads is essential if you want to include them in targeted lead nurturing campaigns. In most cases, we help strengthen the marketing tactics that our clients have already brainstormed or implemented. Do you have an email newsletter? Use our incentives to increase sign-ups. Are you launching a social media contest? 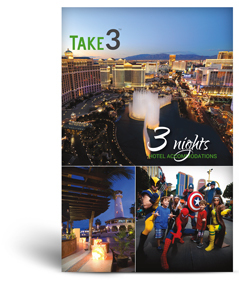 One of our vacation getaway products could be an enticing grand prize. Does your website or landing page promote an e-book download? Raffle off our cruise vacation certificates to lucky downloaders. Combining your convincing content with our compelling incentives is a surefire way to increase the amount of leads that your business is capturing. It's only natural for your leads to be more likely to listen to your sales pitch if you've given them value first.